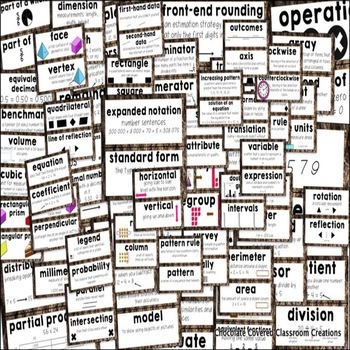 This collection of math word wall cards will be the perfect addition to your upper elementary math class. Each term is accompanied by a simple definition or image. It is a good idea to add a card to your word wall each time you introduce students to a new vocabulary term. Then at the end of the unit, the cards can be removed, to make room for the new ones. There are over 100 vocabulary cards included! 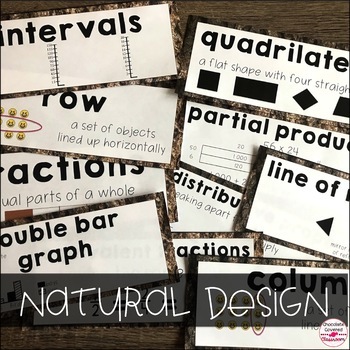 These cards have a natural design (bark background, brown and black font) in order to fit with a variety of classroom décor. They match my FNMI Alphabet Cards perfectly! 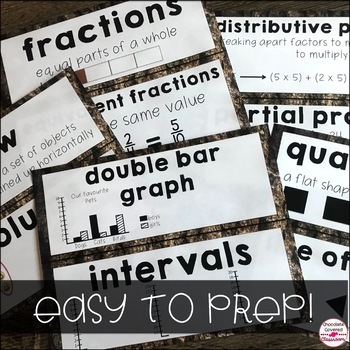 The cards were designed to align with the Grade 5 Alberta Program of Studies, however they are general enough that they can be used with other upper elementary math curriculums as well! If you would like to see a term added, please email me at chocolate.covered.classroom@gmail.com. Note: There are several of the same cards in this pack as in the grade 4 pack, since lots of math terms carry over from year to year. 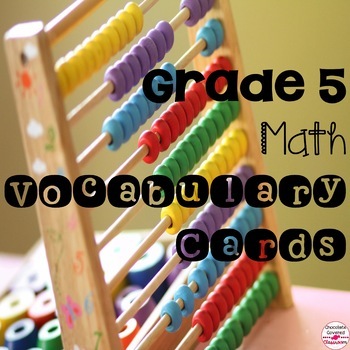 Looking for the Grade 4 Vocabulary Cards? You can find them here.